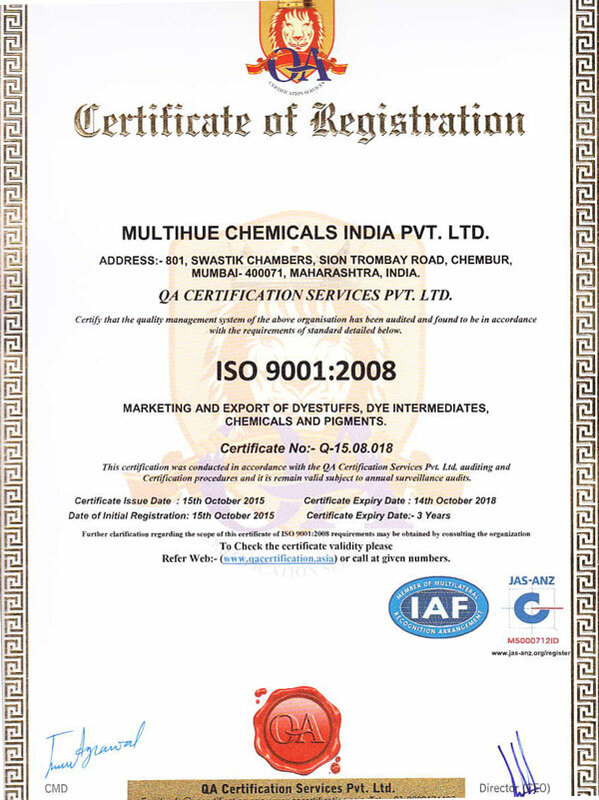 Multihue Chemicals India Pvt. ltd.
Multihue is where you can have access to global solutions in requirements of dyestuffs for textiles, leather, paper, oils, soaps, wood stains, food, etc., also pigments for paints, plastics, printing inks, rubber, also dye-intermediates and textile auxiliaries. Multihue has its origin way back in 1982, distributing products to interested customers in world markets. Multihue has also successfully undertaken projects in setting up of dyestuffs and pigments manufacturing units. © 2015 Copyrights Multihue Chemical India Pvt. Ltd.